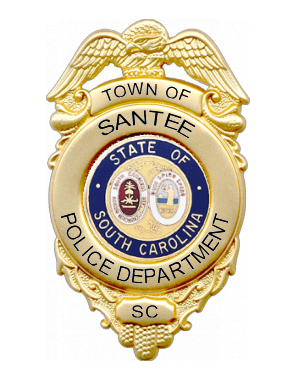 Our mission is to promote a sense of safety and quality of life in the Town of Santee by providing police service with integrity and commitment to excellence in partnership with the community. The purpose of the Santee Police Department is to protect and serve. The department protects the rights of all persons within its jurisdiction to be free from criminal attacks, secured in their possession and to live in peace. The Department serves the people of the town by performing all law enforcement functions in a professional manner. It is to those people that the Department is ultimately responsible. A rural society, free from crime and disorder, remains an ideal. Nevertheless, consistent with the values of free society, it is the primary objective of the Santee Police Department to constantly strive to approach the ideal, as closely as possible. In so doing, the Department’s role is to enforce the law in a fair and impartial manner. Recognizing the statutes and judicial limitations of the police authority, and the constitutional rights of all persons, it is not the role of the Department to legislate, render legal judgement or to punish. Peace in a free society depends on voluntary compliance with the law. The primary responsibility for upholding the law, therefore, lies not with the police, but with the people. Since crime is a social phenomenon, crime prevention should be the concern of every person living in this society. Society employs full time professional police officers to prevent and deter crime. When that fails, to apprehend those who violate the law.